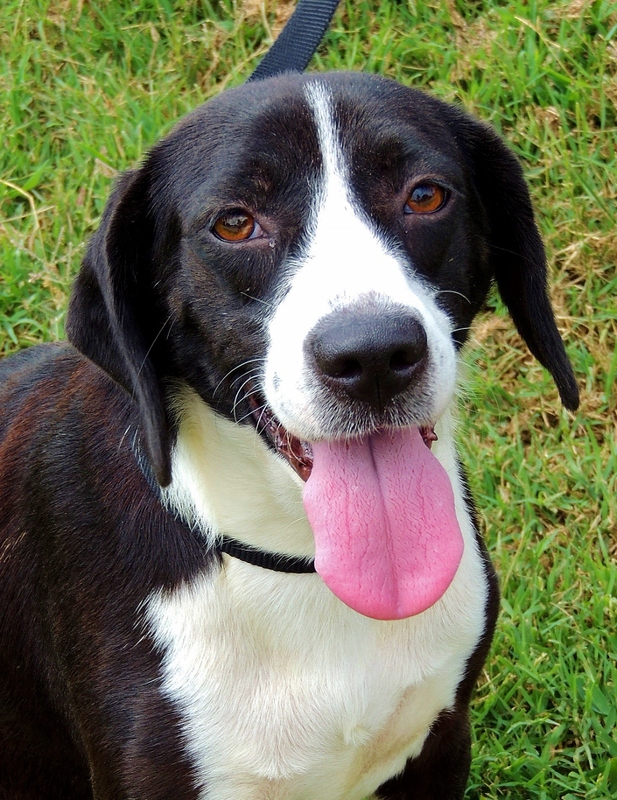 She’s currently at Camp Chinquapin, a 5-year-old dream student, training to become your ideal family dog. Beagle/Border Collie mix “Kinsley” is 33 lbs. of calm devotion; she displays only the most appealing aspects of her breed backgrounds, and is destined to win “best in class” for exemplary manners — she appears to be housetrained, too. Some lost family has socialized Kinsley beautifully; she’s amiable, intelligent, attentive, and gently outgoing, an immediate, trustworthy friend to kids and other dogs, who enjoy leash- walking and think cats are just fine. Kinsley’s brimming with civility; her diplomacy skills are A+, and she gets high marks in kissing, too. Go see how much heart her tender spirit has in store, and learn how you’ve needed her all along. 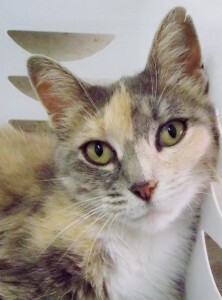 She’s a 2-year-old diluted Calico whose opinions are charmingly full strength: Ella will rub on you affectionately but dislikes to be held, adores a great conversation but wants you to do all the listening, and thinks being inside’s a bore altogether — outside’s where she’s happy, and she’ll bang on her hatch to prove it. Pretty Ella was found stray, we think she’s a country girl at heart; she’ll thrive as an outside cat who can enjoy her space, return home, talk a blue streak and punctuate her prose with a nice pet. Meet the funny outdoor cat who never stops giving her viewpoint, and see how wishy-washy other friends seem next to the definitive fellowship of Ella.